In which BracketCat counts down the 22nd day until the 2018 kickoff with a profile of linebacker Daniel Green. Daniel X. 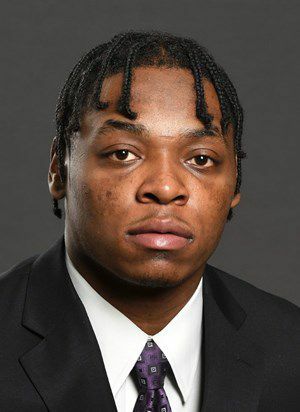 Green (b. Jan. 8, 1999) is a young linebacker with a bevy of athleticism who will spend the 2018 season getting acclimated to the Division I level. Originally announced as part of the 2017 class, Green is promising, physical young defensive prospect from Oregon who was something of a February Signing Day surprise. The four-star linebacker selected the Wildcats over offers from Mississippi, Oregon State and Utah. Academic eligibility issues kept him from enrolling until this spring as a grayshirt. Green played for Madison High School under head coach Don Johnson Jr. While with the Senators, he earned second-team all-state honors from The Oregonian, while he also was a two-time first-team all-conference honoree. Green was named one of the top 250 prospects in the Class of 2017 by Rivals. The organization also viewed him as the 10th-best inside linebacker in the nation and the third-best player in the state of Oregon. Green is a really solid inside backer prospect who likes to play with some depth and then play downhill once he’s diagnosed the play. I think that could get him into trouble if the Wildcats defensive line can’t keep him covered up, or he’s facing a team with a really quality tackle or fullback who can get out on him 4 yards past the line of scrimmage. That said, he’s really sudden and powerful coming downhill, and he’s pretty hard to block once he’s aiming for the ball. He also can blitz with some thunder and pursue the ball outside of the tackle box. With some refinement, he might be a really good player. Please don’t misunderstand me — I think Green was a huge get and don’t doubt that he will be starting at some point in his career. I just don’t think it will be this season.